Being a diehard Springsteen fan, I naturally really wanted to see "Springsteen and I" in theaters and with other Bruce fans. I'm glad I did. The atmosphere was simply awesome and dare I say epic. With people laughing and clapping during the film, it really was an enjoyable experience. 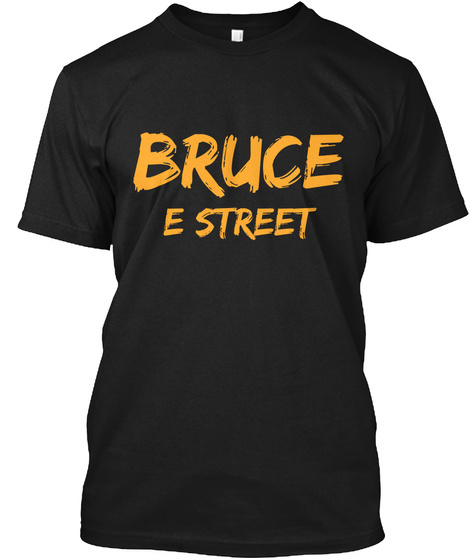 I don't want to give anything away in case people have still yet to see the film but I think the average Bruce fan will love it. For the diehard Bruce fans...it is simply a must see! I heard some not so great reviews from some people but found myself to actually love it. There are a lot of funny stories and even funny people that tell their stories. I found myself actually laughing out loud with the rest of the theater. If you are going to hear full Bruce songs in full this may not be the best show for you. It is mostly fans talking about Bruce and how he changed their lives and things of that nature. Yes, there is live footage but they won't show the full video. There was a "bonus" segment at the end that does show some songs in full (from Hard Rock Calling 2012) for about 30-45 minutes. I would definitely recommend that you stick around for that if you are seeing it in theaters. The sound was turned up pretty loud and almost sounded like a Bruce concert. Even heard some people quietly singing along. All in all I think it is a must go for any Springsteen fan of any kind. Better yet, it may even be that gateway to get a friend or relative to get into Springsteen and his music. And that could end up being priceless.